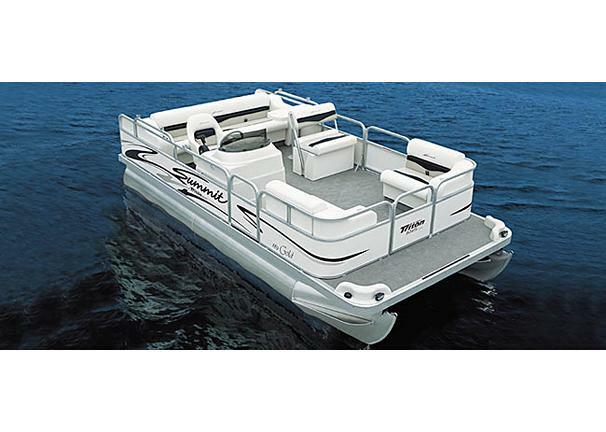 Boat Description Step into pontoon boating Summit style with this affordable 18-footer! The Triton Summit Pontoon 180 Gold features bow seating port and starboard, a versatile flip-back seat that doubles as an on-board cooler, and a rear lounge seat. It comes with a removable snack table, fully-appointed captains console and Bimini top. Begin your voyage into pontoon boating with one of these sensibly-priced models from Summit.